This case was designed and built for Maryland Sound International. The case is designed to hold 4 Outline Mini Compass line array elements. Two elements are rigged together and placed in a custom CNC cut foam insert, there are also custom foam cut outs for 8 splay bars between the two sections. 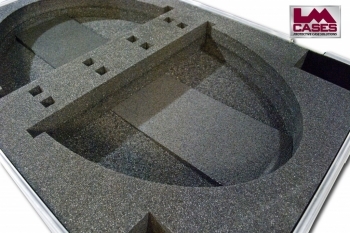 The portion of the insert that holds the elements features an angled piece of PE foam that matched the angle of the cabinet so that the rigged elements will sit flat in the case. 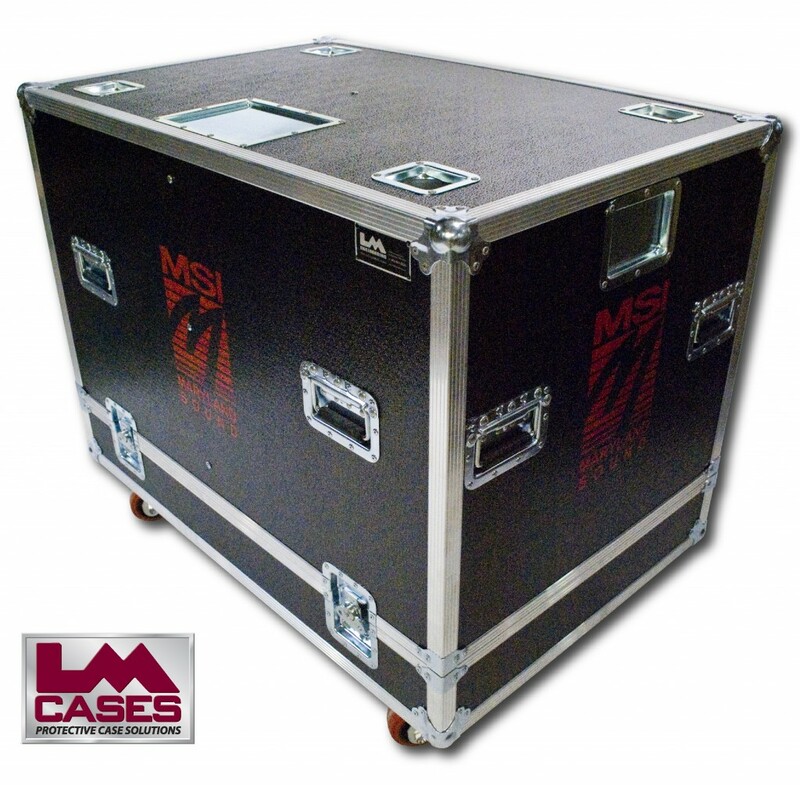 The exterior case is built out of 1/2" plywood and is laminated with ArmorTuf fiberglass laminate. 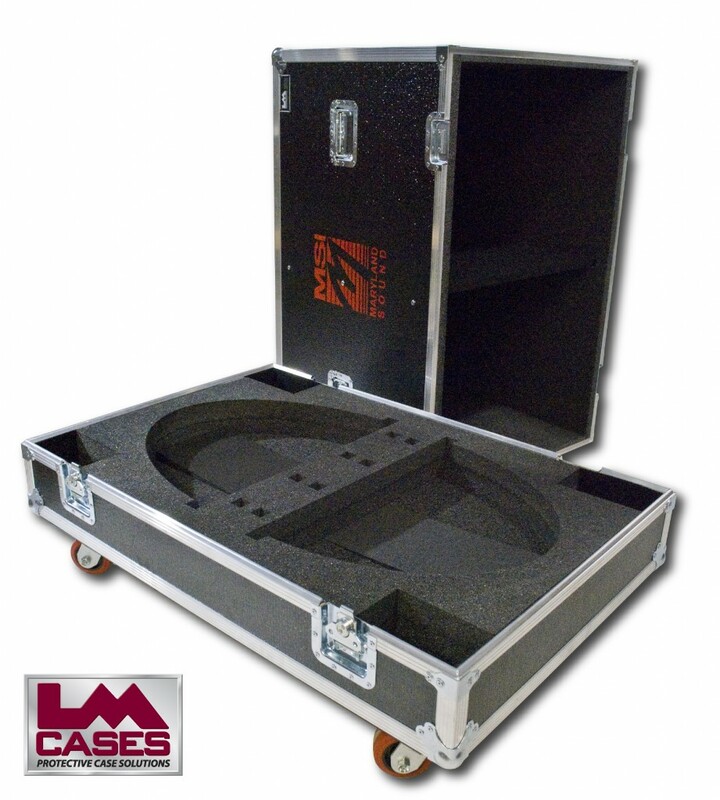 The rides on HD 4" x 2" casters and features a recessed dish for bar coding, a recessed PAL label plate, deep recessed handles, stacking caster cups, and a custom silkscreen of the companies logo. Special thanks to Maryland Sound!